A fundamental part of the 5S Shine Pillar is getting rid of the waste. We have designed a range of 5S Recycling Signs and Stations for factories, warehosues and offices. In fact they are the perfect addition to near all workplaces. 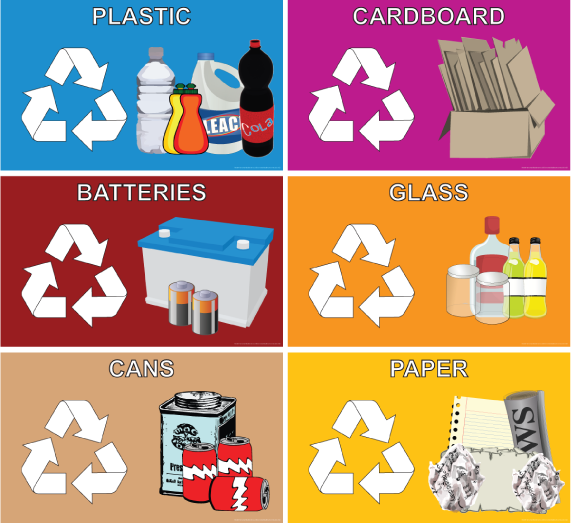 Our Recycling Signage Kits are the perfect solution for identifying your workplace recycling bin locations. They are printed using the latest digital high definition print which makes them perfect for outdoor applications.